Visit the C.R. Laine website. C.R. 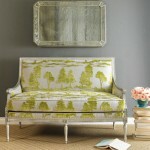 Laine creates inspiring upholstered furniture through innovative STYLE. COMFORT. and COLOR. 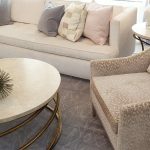 They produce the best in customized, bench–crafted upholstery including exposed wood, leather, and upholstered chairs, sofas, chair-and-a-half’s & sectionals. Visit the Cox website Founded in 1932 by William Cox, Cox Furniture Manufacturing Company is now a go-to source for living room furniture and accent upholstery of high style and quality. Proudly Made in the USA, Cox is committed to providing high quality materials, excellent handmade craftsmanship, genuine comfort and exceptional value. Visit the Duralee website. Duralee creates furniture with versatility in design, from traditional to transitional and modern. They offer frames with unique design, exceptional quality, value pricing and fast delivery without compromising or restraining on the materials used, methods of construction and fine finishes. Visit the Four Seasons website. Four Seasons gives you the freedom to choose exactly what you want. 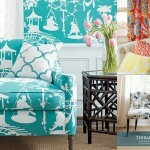 Their Collections are specially crafted with you in mind with an emphasis on slipcovers. Visit the Norwalk Furniture website. Norwalk Furniture offers great designs, over 850 fabrics and leathers, customizable options, high quality products, and quick delivery. 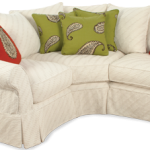 All Norwalk upholstery styles are Made in the USA. Visit the Wesley Hall website. 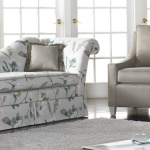 Over the last 20 years, Wesley Hall has become a key manufacturer in the upper segment of the upholstered furniture market. They attribute their success to an unwavering commitment to providing excellent service, quality, fashion, and value.